60 years ago a group of dedicated parents founded what is now called Community Living Oakville. Today Community Living Oakville provides a range of support services to children, youth and adults who have developmental disabilities and their families. Our work is guided by our values, experience and history and draws from strong roots in the community. 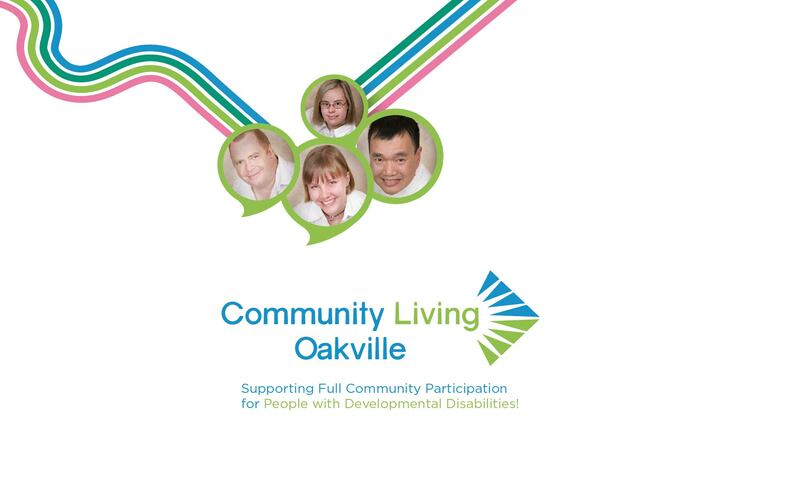 Community Living Oakville recognizes the rights of everyone to have a full range of life choices, including access to education, affordable and appropriate housing, leisure options, gainful employment and participation in the community. A healthy community encourages the involvement of everyone. Our agency is guided by our mission that encourages and supports full community participation while providing quality services, supports and opportunities enabling people with developmental disabilities to live active, rewarding and fulfilling lives. Community Living Oakville was founded by parents who dreamed of a better life for their sons and daughters. They wanted their children to learn in school, have friends, and be welcome in their communities. We continue that vision within the Town of Oakville. Today the organization includes individuals, families, staff & volunteers dedicated to making sure that people with developmental disabilities are able to enjoy their right to lead active and productive lives in their communities. Community Living: Bringing Full Citizenship to the Most Vulnerable Members of Our Community. Fifty-five years ago having a developmental disability was a sentence to be isolated. Education was denied. That changed when the Kelley and Gunn families decided their five-year-olds shouldn’t be “retired” from school. They independently hired a teacher and a tiny school grew to seven children and found a home at St. Jude’s Church. From the vision of two parents to community-wide service in less than fifty years, the changes are monumental. Yet there is still a long way to grow. Community inclusion still remains elusive to many. Our goal is full community participation for the people we support.